I knew my research in Italy would take me to Abruzzo, and Harry Clifton’s book “On the Spine of Italy: A Year in the Abruzzi” (Macmillan, 1999) fell into my hands at the right moment, to give me a taste of the region I was so eager to know better. Clifton is an Irish poet. He and his wife went to a village in Abruzzo to spend a summer writing. In the end, they stayed a full year, and this book chronicles their experience of village life. I enjoyed reading it, and it stoked my interest in the region, although my visit of a few weeks would not compare to a year-long stay. I believe the book is now out of print, but it is available used from online booksellers. “The village, in its small way, was preparing for Christmas. The shop had introduced a freezer, full of packaged vegetables, hamburgers, french fries, and fish fingers, to internationalize the local cuisine. It had a glass display case, containing cheeses and cold cuts of meat, clinically administered by the women in starched white. The co-operativa, as it stood now, would have done justice to a hospital. “They had introduced a small stand of Christmas gifts and confectionery, a smaller and far poorer version of the extravaganzas we had witnessed in Perugia. There were bottles of Spumante and Amaro, the bitter digestivo favoured in the Abruzzo. There were sundry mechanical toys, times to autodestruct a week after they had been bought. And there was a big assortment of giftwrapped panettones, the soft fruity cakes filled with jam or chocolate that symbolize the Christmas season in Italy. We bought some for Silvio’s family, as a fence-mending gesture. “In the bar, the men played cards obsessively. the lights were on until two in the morning, as they engaged in gigantic poker sessions. As it was Christmas, they were betting heavily and playing for real stakes. We knew villagers who had been literally ruined, dispossessed of their property and the shirts off their backs, by such sessions. The late night shouting and roaring across the road had plenty of reality behind it. But anything, especially in winter, was better than boredom, and cards were the one thing in the lives of the village men that lifted the burden of empty time off their backs. I enjoyed Clifton’s book, which doesn’t identify the specific village, but includes the highs and lows of village life in rural southern Italy. 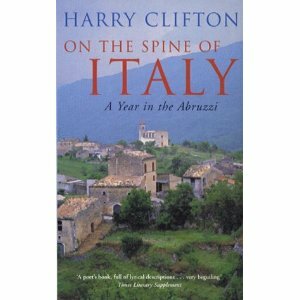 This entry was posted in Books, Uncategorized and tagged Abruzzo, book review, Christmas, Harry Clifton, Italy. Bookmark the permalink.